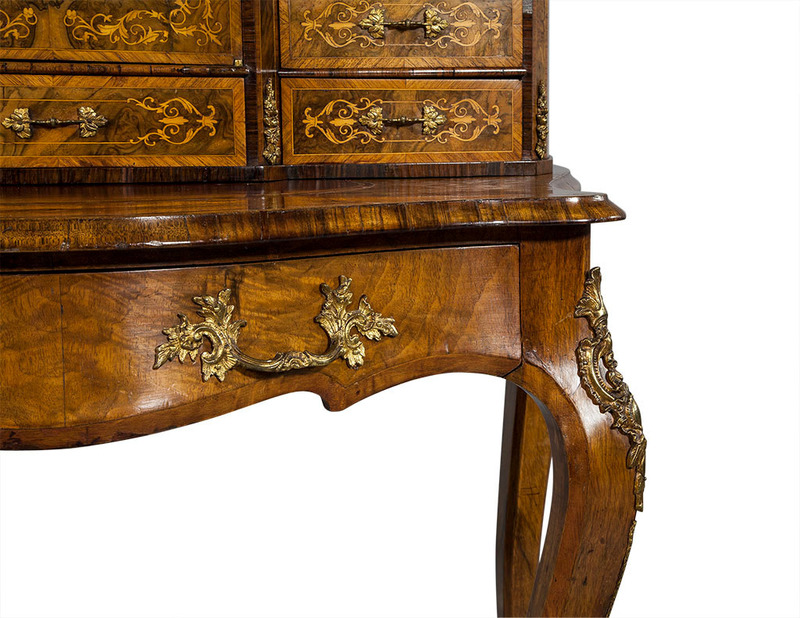 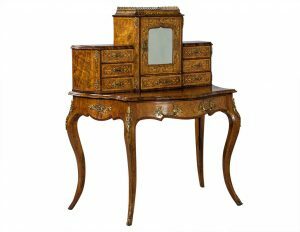 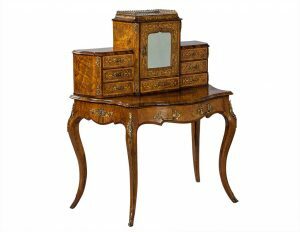 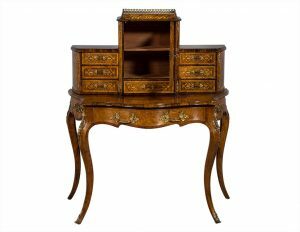 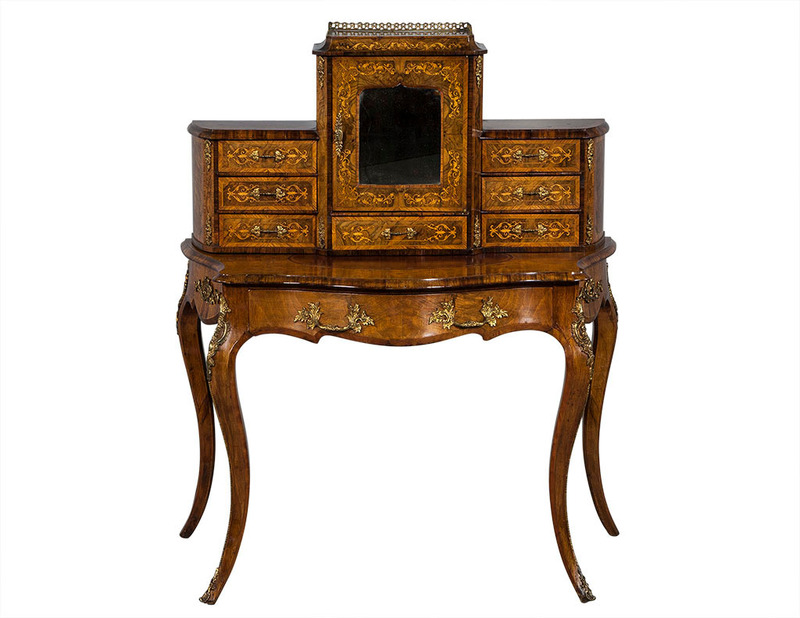 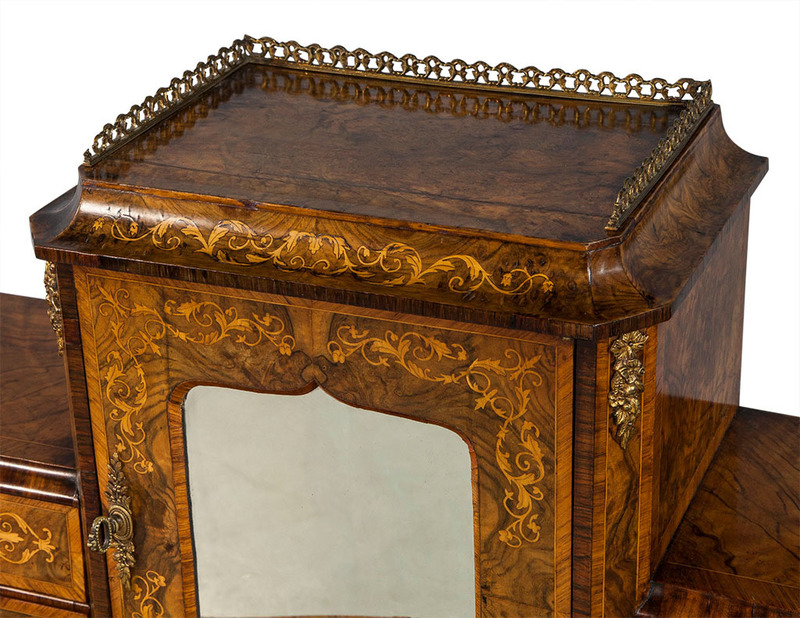 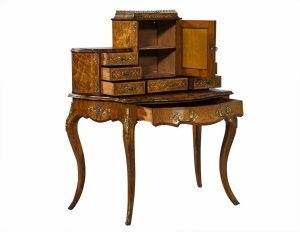 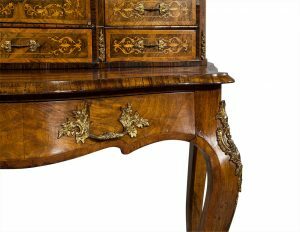 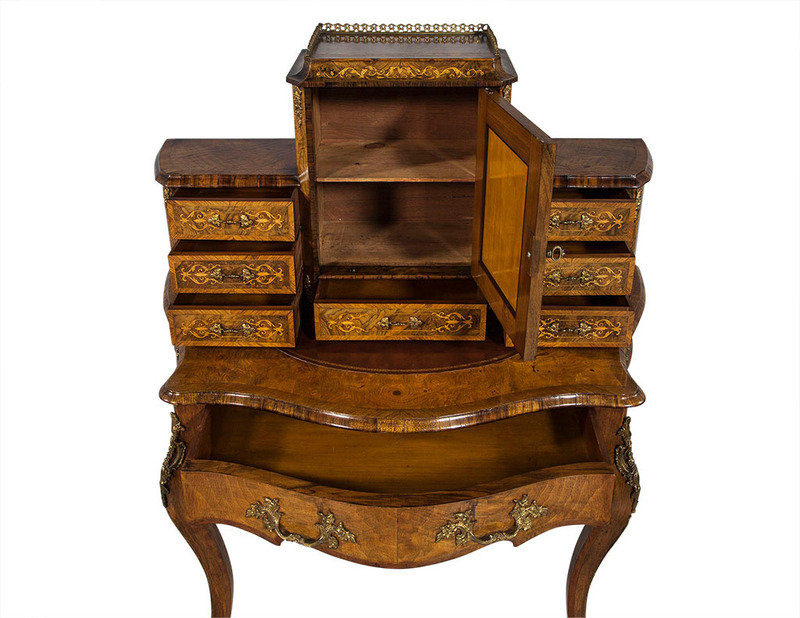 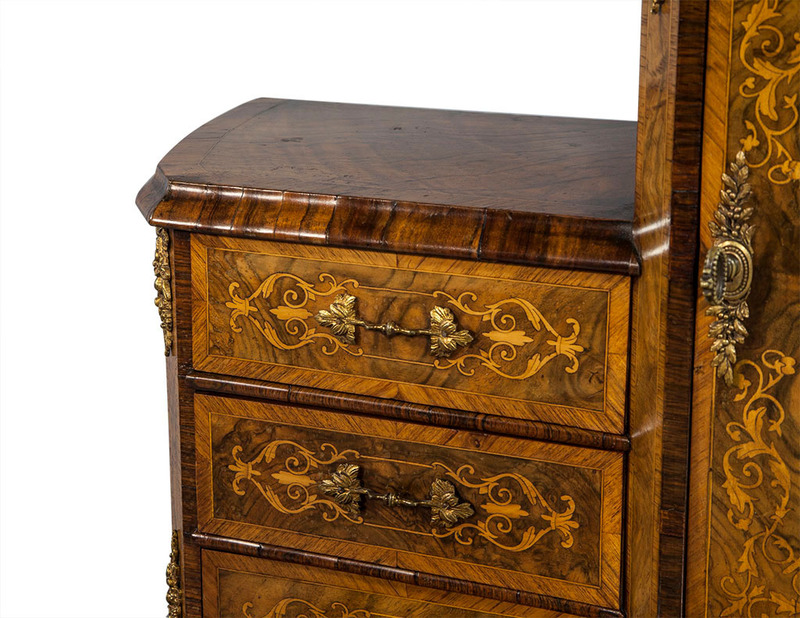 This Louis XV style vanity desk hails from 1920’s France. 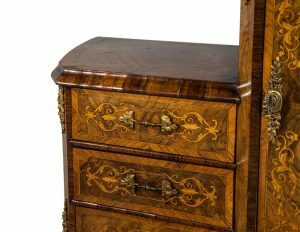 The piece has one wide drawer in front and a taller middle section with one drawer and a door with a mirror front and shelf inside. 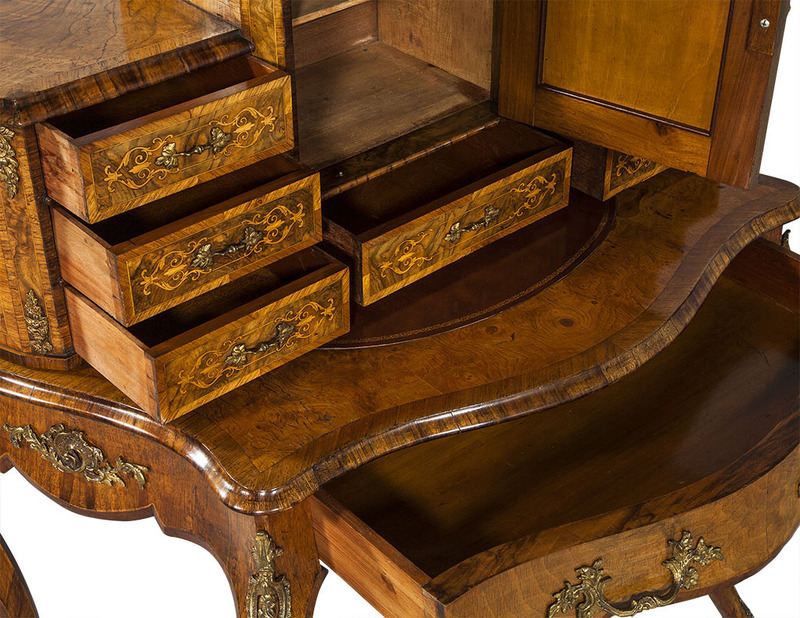 There are three drawers on each side for even more storage. 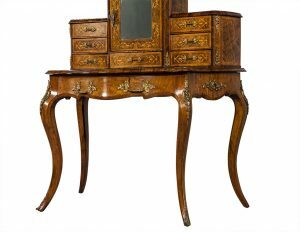 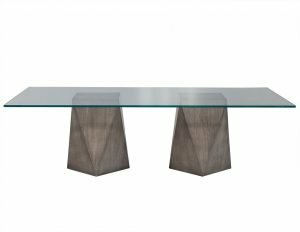 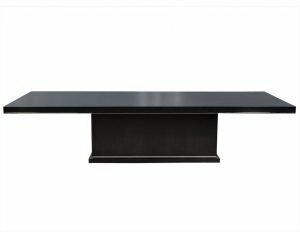 A whimsical piece with just the right amount of utility, perfect for a well-appointed bedroom!